Outings are free and open to all. For more information or if weather is questionable, call (207) 338-1147. ​ Call with outing suggestions too! 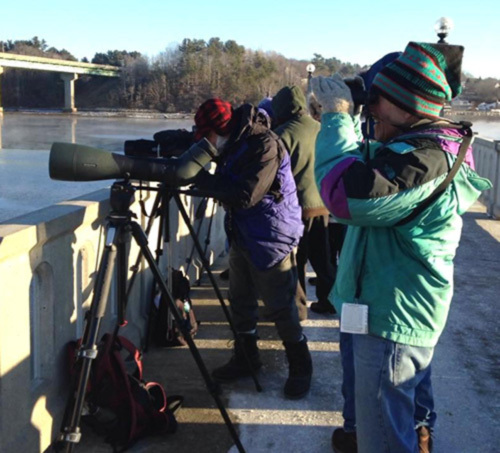 Ron Harrell and Gary Gulezian will set up spotting scopes from 8 am to 10 am on the days listed above. 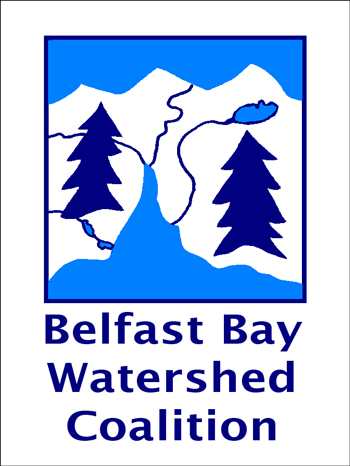 The Belfast Bay Watershed Coalition invites you to hike the Belfast Rail Trail on Saturday, April 13. This is a social-physical experience with lunch together at the Nautilus in Belfast. Meet at the Train Station on Oak Hill Road at 10:00 am, and trek (on skis, snowshoes, or boots as needed) the 2.2 miles to the Nautilus for lunch. Options: Return on foot after lunch to the Train Station or pre-park your car in town. Anyone is invited to join us for lunch at 11:30, whether you hike or not. Call 338-1147 for more information.